Q: Question: How do you enable or configure settings so that on default a specific "Tab" is always set to on or shown as the preload tab, I have a eStore page where I would like to insure that a specific Tab is always shown on default and all others are hidden on the first revealing of the page? Can you help? At this point, I am just trying my first menu - not using a browser. (I normally use Firefox but also have IE installed). A: I suppose that you're using Windows 2000. We have some problems with Tuner on this OS. Unfortunately we didn't fix the issue with Windows 2000 yet. Try to delete all content from toolbar.html file. Q: Thank you so much for your time and assistance - I've been charged with this project and still struggling a little. Considering my total ignorance to code, I'm understanding much better now, but could you please take a look at the page and tell me why I now have double menus and how to correct? and then you paste the content of data.js file in your code. That's why you have two menus on your page.Please, delete one of them. asp.net gridview - [SEARCHAID.info] Login web control vs. Seamonkey in ASP.NET Web Controls. 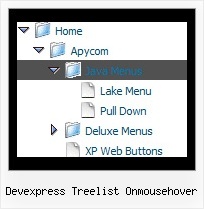 Dear Microsoft, I have found an Keyboard Navigation For ASP.NET GridView And TreeList Controls ?